If you have been to Sapa to explore the beauty of Cat Cat Village, Lao Chai Ta Van or Silver Waterfalls, the Cloud bridge but never set your foot print in Ta Phin, you cannot understand all the mysterious and poetic beauty of this highland. 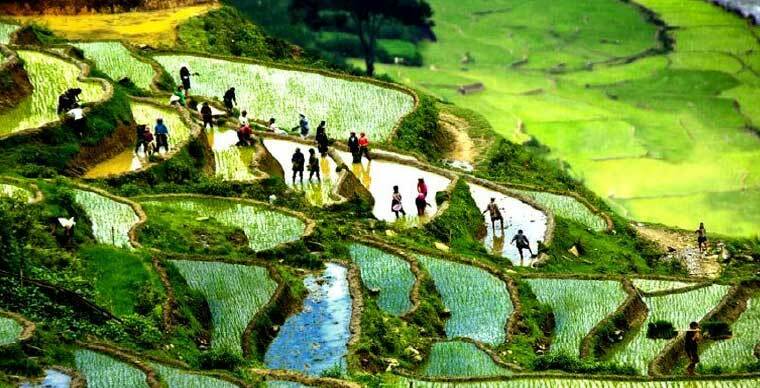 Through this article, Authentik Vietnam Travel will draw up a panorama picture of wild beauty as well as cultural values of the Ta Phin village. 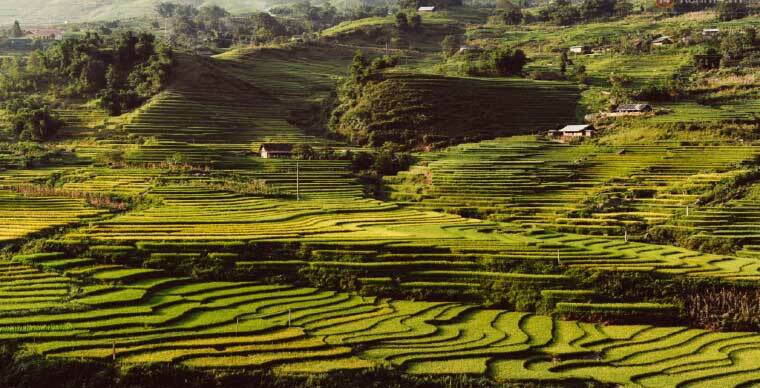 Ta Phin is 12km from Sa Pa town, located to the north-east of Sapa district, Lao Cai province. From the center ofSapa town, tourists should follow the 4D highway and turn the left where they will find the entrance gate. After buying the entrance ticket, tourists have to take a road of around 7km to Ta Phin village. 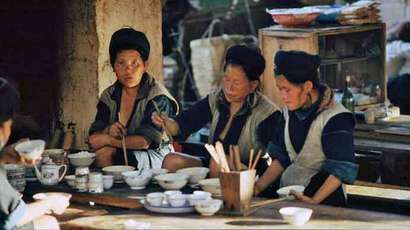 It is not so difficult to recognize the village thanks to the typical color of Dao costume. To have a better understanding about the culture of Ta Phin, tourists should follow the red Dao women to visit their home. 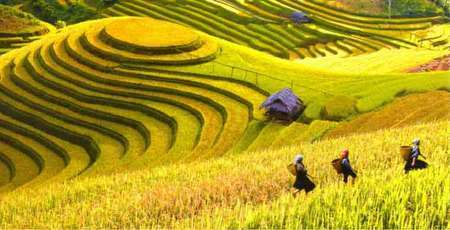 It is a good new for tourists that private cars from Sapa town to Ta Phin village is available. 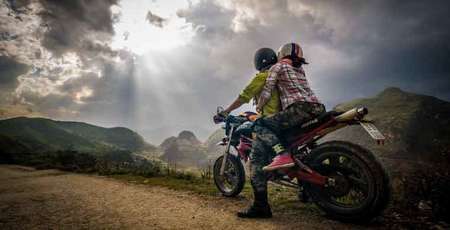 However, to enforce the demand of sightseeing, tourists should rent a motorbike or motorcycle taxi. (120k -170k / person / visit). 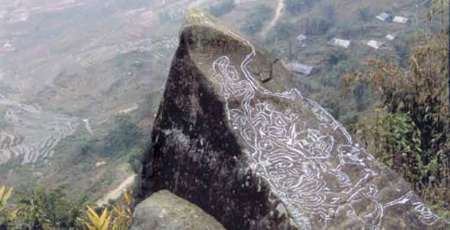 About 1 km to the north of Ta Phin Commune People's Committee, there is a limestone mountain which is a branch of the Hoang Lien Son Range. In this mountain range exists a small mountain, at the bottom of the mountain cracked open a cave entrance which is about 5 meters high, 3 meters wide, open a path down to the ground. Around 30 meters to the underground, tourists will encounter a small cave. From this point, the cave is divided into many sub-cave, leading to many tiny tunnels. 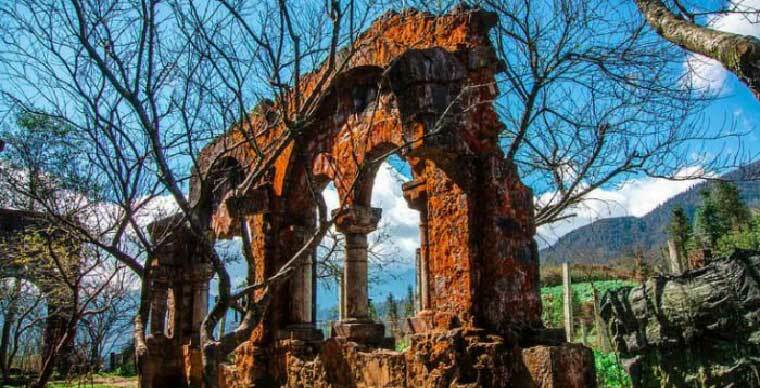 This is a place where many valuable research and archeology need to be preserved and protected. 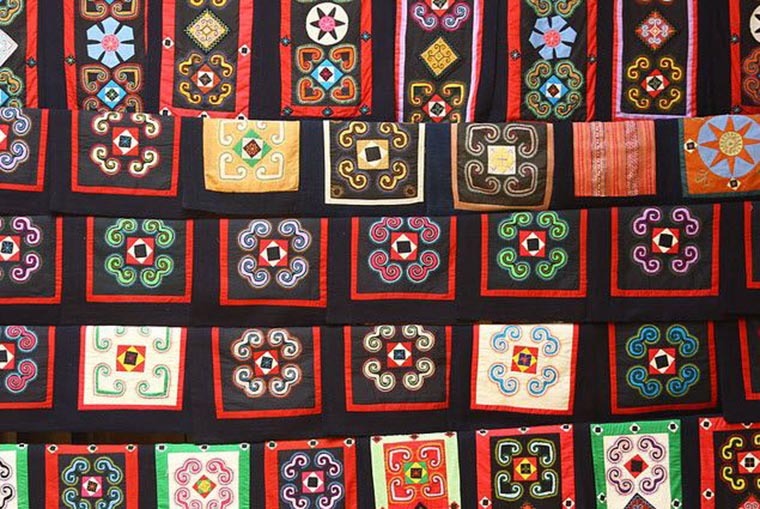 Besides beautiful and natural landscape, Ta Phin Sapa is famous for some culture rich with many ethnic festival, oath ceremony and local celebration as well as traditional craft, in which brocade is pretty well- known to many tourists. 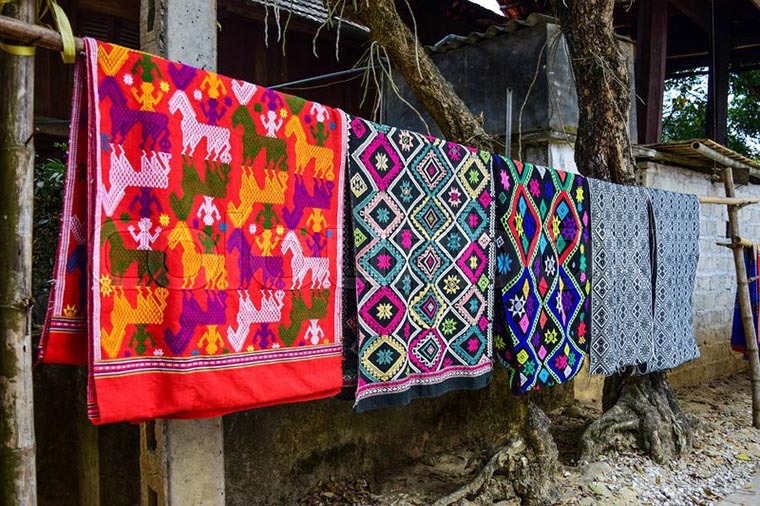 In recent years, in alignment with the development of Sapa town and the raise of the demand for brocade goods, Ta Phin brocade village was established and came into operation from 1998 until now. The brocade product in Ta Phin village varied into different design and eye-catching color, of which red is known as the signature tones. Some of the main products that can be mentioned are: backpacks, traveling bags, scarves, handbags, money purses, brocade robes with brilliant colors. 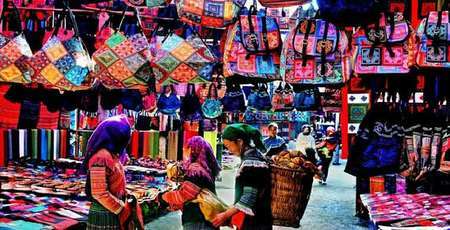 These products are purely hand crafted by talented H'Mong and Dao people which call up the curiosity and especially attractive to tourists to Sa Pa. 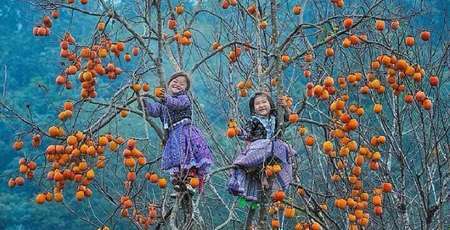 In the past, Dao people often use the natural herbs from the forest to prepare water bath on the last day of the year to welcome the new year. Notice that bathing medicine is good for health, many people have the flexibility to open the bath in the village or sell medicine for tourists to bring. 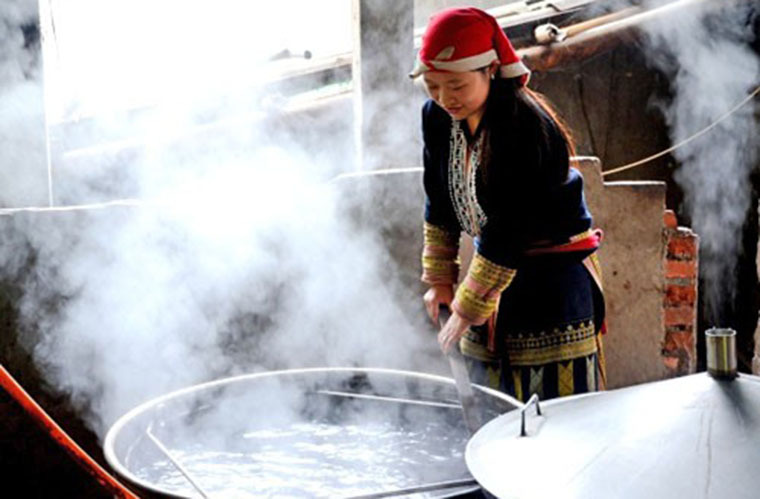 In order to bathe the traditional medicine of the Red Dao, each tank of bath water often use more than 10 kinds of leaves, sometimes even up to 120 different types. 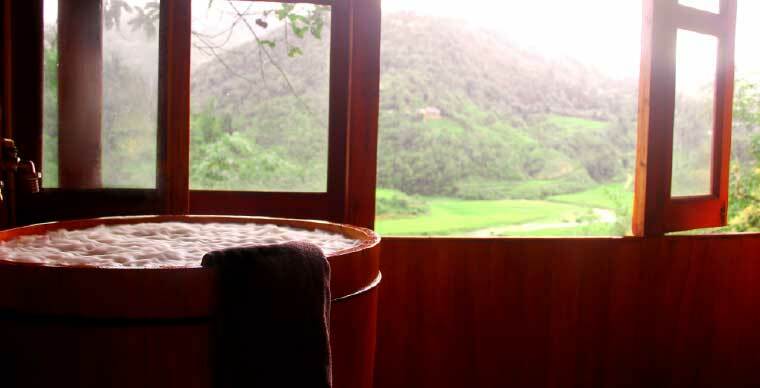 Especially, if tourists conquering Sa Pa mount Fansipan peak, often choose to stay in the red medicine bath to help relieve pain and recovery of health quickly. Currently selling price of 1kg of bath medicine in the village is about 50,000VND ($2) which is quite reasonable.